Imagine a spacious New England country home whose rooms reflect all the cheer and warmth of the holidays. Throw a log on the fire to add to the glow. 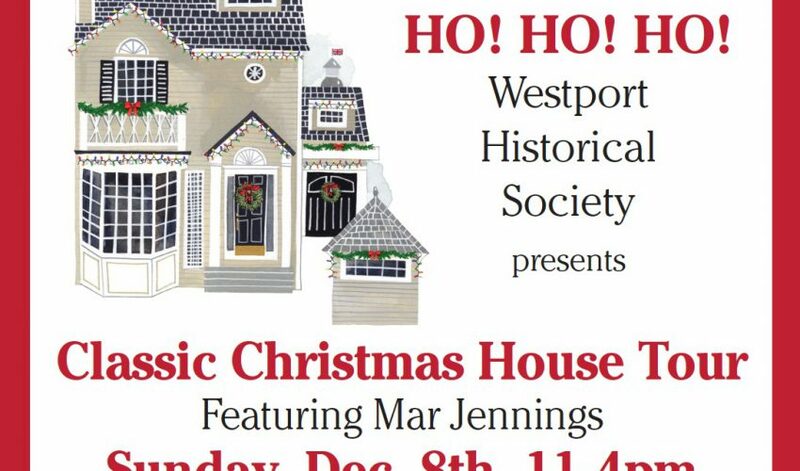 Experience the magic of The Mar Jennings Classic New England Christmas House Tour on Sunday, December 8, from 11 a.m. to 4 p.m. as part of the Westport Historical Society’s 27th Annual Holiday Tour. Then, from 6 to 9 p.m., toast the season at an “Eat, Drink & Be MAR-ry” party at Terrain, one of Westport’s most imaginative home and garden retail spaces. The “Eat, Drink & Be MAR-ry” party will feature hors d’oeuvres prepared by Terrain’s staff; wine and music; and the chance to bid in live and silent auctions on such fabulous holiday gifts as a trip to Africa and tickets to the Emmys. The homes for this year’s tour have been selected to showcase the special Christmas spirit of New England, and all will be decked out in designer holiday finery. and a designer home owned by best-selling author and television personality Jennings, whose residence has been chosen as the tour’s official Terrain home. Docents will be available in every room of the homes to discuss the dÌ©cor and design features, and in some cases the designers themselves will be present to answer questions. So what are you waiting for? Buy your ticket now! Where else can you see inside five beautiful homes, gather designer decorating tips, shop, raise a glass to the holidays in beautiful surroundings and get to chat with television host Mar Jennings, a regular contributor to Meredith’s “The Better Show” and to the Fox and NBC networks. Call the Westport Historical Society at (203) 222-1424 for tickets. Cost of the Holiday House Tour is $40 for WHS members, $50 for nonmembers, $55 day of tour. The Eat, Drink and Be MARry party is $75. These unique holiday events and a Hidden Garden Tour in June are the Westport Historical Society’s major annual fundraisers. All proceeds help fulfill its mission of presenting and celebrating history in Westport.